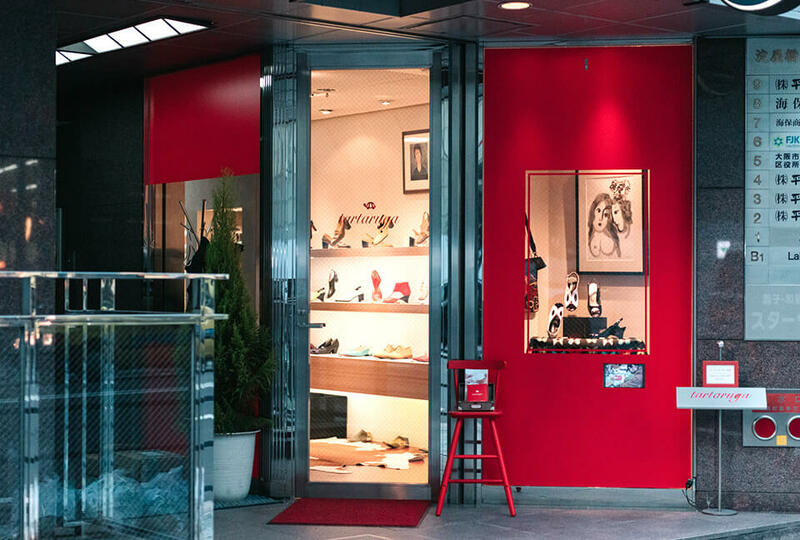 Tartaruga Shoes is a third-generation shoe store that was established in 1891. Mr. Matsumoto attended a shoe-making school in Italy and has many years’ experience as a designer and maker of shoes. During the past three decades, he has travelled to Italy and France innumerable times to further develop his craft. For twenty years he taught shoemaking at a technical school and was thus involved in training the next generation of shoemakers. Today he is concentrating on making “completely original shoes” at his own shoe studio in Osaka. 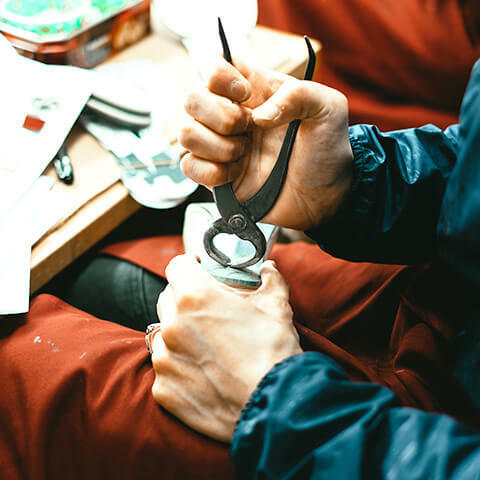 He is involved in every stage of shoemaking, including selecting and adjusting wooden shoe-forms, designing all parts of the shoes, and even the stitching of shoes. At the same location he has established a shoe shop that allows him to interact with each customer directly. While discussing customers’ needs and preferences, he measures their foot sizes and provides expert advice. He then selects the specially-made wooden shoe-form that is necessary for fitting and making adjustments. When creating shoes, he strives for “functional beauty” to produce shoes that are not just beautiful and comfortable to wear, but also are based on an effective semi-order system that Mr. Matsumoto has instituted to suit each customer’s feet and sensibilities. 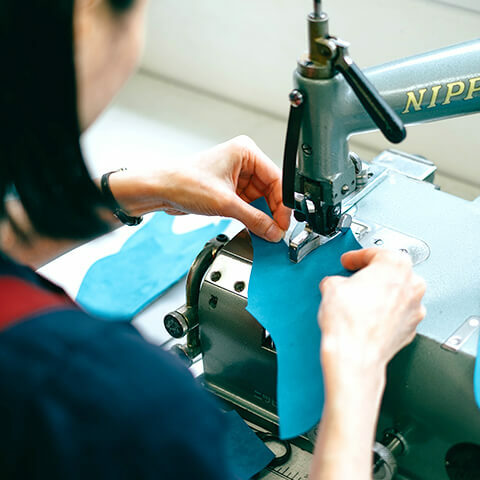 Specialist craftspeople at Mr. Matsumoto’s shoe workshop are in charge of crafting each individual pair of shoes. Our expertise is fully utilized to create each and every pair of shoes in a way that is only possible at a privately-owned shoe workshop. Rather than emphasizing production efficiency, we strive to create the highest quality shoes for each customer. All individuals have differently shaped feet and it is not unusual that their right and left feet are also shaped differently. At Tartaruga Shoes, the first thing we do is to carefully measure each customer’s feet. Then we have the customer try on appropriate samples that allow us to make the adjustments necessary to precisely fit that customer’s feet. Our semi-order made shoes are priced as prêt-à-porter (ready-made shoes) and offer the same superb comfort of fully order-made shoes. Each customer can choose every material involved in the making her shoes, from the type and color of leather, the color of stitching, the metal fittings, and even the soles of the shoes. We have a collection of over 100 types of specially-processed materials, including Italian calf leather that until recently has been very rare in Japan, as well as steer leather, and other materials. This collection allows our customers to assist in the creation of a truly unique pair of shoes that fits their individual sensibilities. We will ship the shoes when they are finished. There is no charge for shipments within Japan. For shipments outside of Japan, shipping charges of approximately 3000 yen will be added, depending on the delivery location. Each customer is requested to visit our store at least once so that we can accurately measure their feet before making their shoes. Depending on our production schedule, one to two months are required to complete making each pair of shoes. Once an order has been made, no returns or changes are possible. However, for a period of one year after purchase, we will happily make any adjustments necessary to ensure a comfortable fit for all shoes that we produce. Shipping costs have to be borne by the customer. On Osaka Midosuji Subway Line, exit Yodoyabashi Station at Exit 1. Walk 100 meters east on Tosabori Avenue. Tartaruga Shoes is on the left.